Description: NorthWind: A Versatile Full-Screen Slider for Photographers Blogger Templates is a responsive and versatile theme made for photographers. 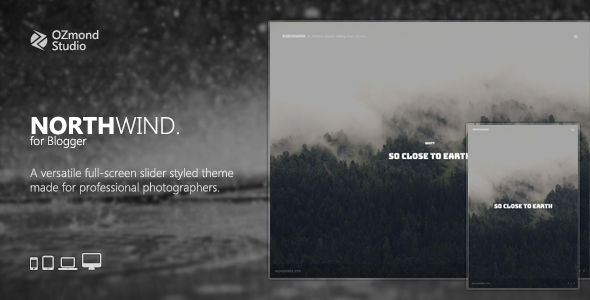 With a cutting-edge full screen design, this theme is determined to showcase your awesome photographs in a premium way. NorthWind is customizable, and easy to set up. It also the first Blogger theme that has custom settings to enable/disable several functionalities of this theme. You don’t need coding knowledge to change colors, fonts or the settings. It’s also come with extensive documentation that easy to be understood.